Kenya is set to sign the US $3bn deal with USA for the construction of Nairobi-Mombasa expressway this month. US Ambassador to Kenya Kyle McCarter announced the reports and said the deal will pave way for construction works to begin after June. Construction of the 473-km express way will begin at the Jomo Kenyatta International Airport (JKIA) along the existing Nairobi-Mombasa highway and will snake through seven Counties to end at the Changamwe roundabout in Mombasa. The proposed project will bypass the capital city to branch off just past Konza and terminate onto the Nakuru highway in Kikuyu. 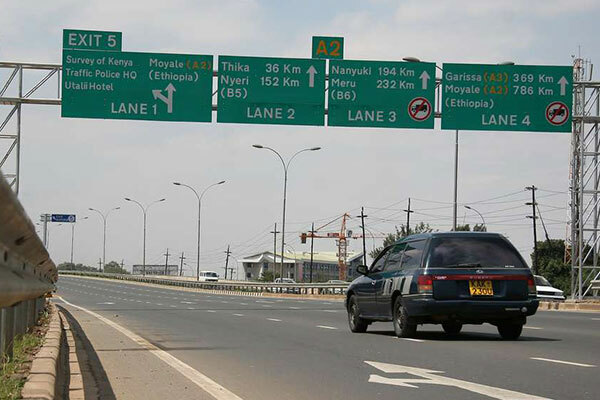 Kenya National Highways Authority (KeNHA) Director General Peter Mundinia explained that the road will have four lanes capable of supporting sustained speeds of up to 120 km/hour and is expected to reduce travel time between Mombasa and Nairobi from the current 10 to four hours.